Please visit website for cost. A National Physique Committee bodybuilding, fitness, figure, bikini and physique athlete event. 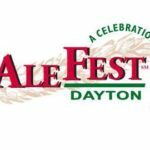 Enjoy Dayton's longest running craft beer festival with 400+ beers.